The island of St. Maarten/St. Martin is an interesting place. Half the island is Dutch, half is French. While visiting there my wife and I took a bus tour around the island which started in Phillipsburg on the Dutch side, and travelled to Marigot, the capital of the French side, and back again. Travel between the two sides is seamless, no more complicated than traveling from one state to another in the US. 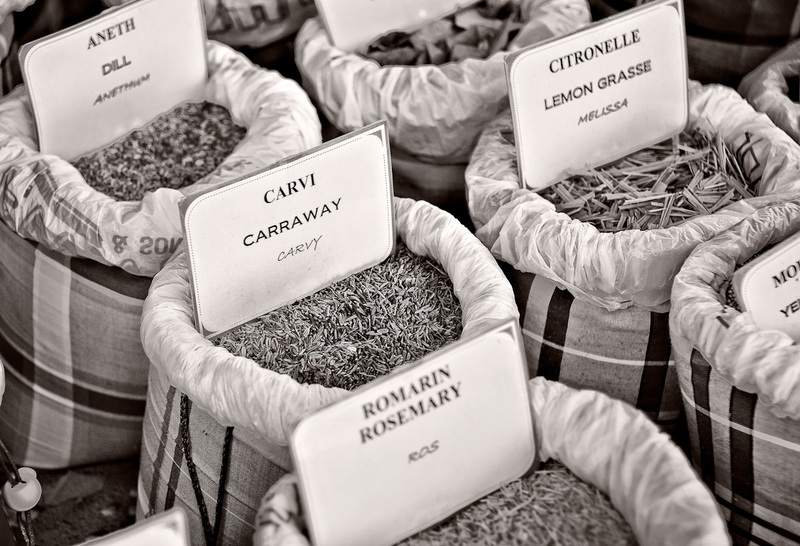 This shot was taken in an open air market near the waterfront in the town of Marigot. 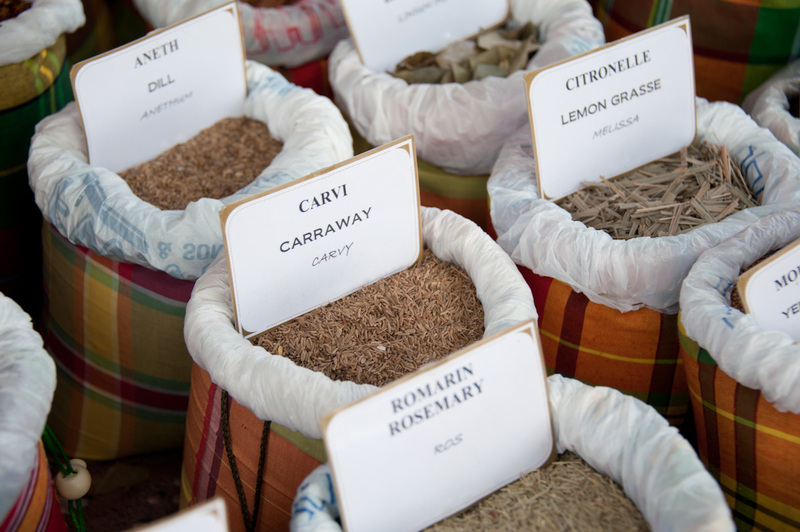 The woman who was running the booth had a large collection of herbs and spices in these bags. It was getting later in the day and I think she was starting to pack up by taking the signs out of the bags which identified the contents. I managed to get this shot before she took these out. Processing included converting the color image to black and white using Silver Efex Pro and I used Focal Point 2 to add just a bit more blur to portions of the image. Click on either image to see it larger. Copyright © 2010-2011 James W. Howe – All rights reserved. Feel free to offer your constructive comments and criticisms, and stay updated by subscribing to the RSS feed or following @JamesHowePhoto on Twitter. © 2019 james howe photography. all rights reserved.